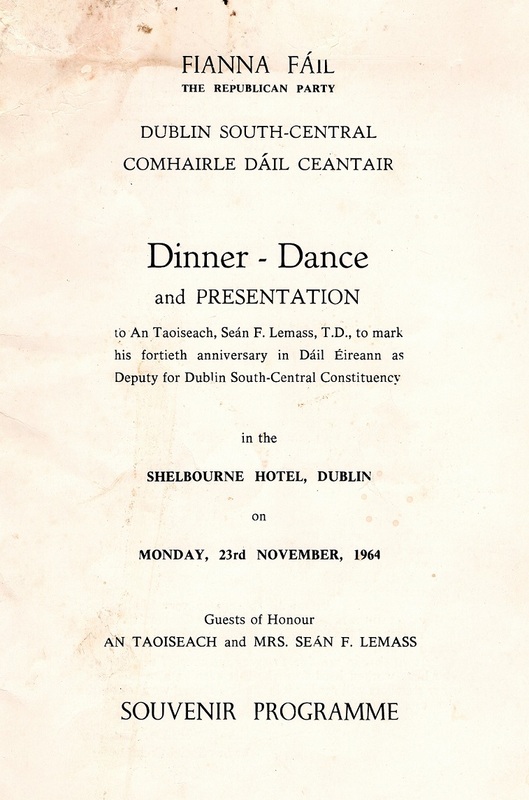 A lovely Souveneir programme for a dinner dance and presentation to then Taoiseach Séan Lemass to mark his 40th anniversary as a TD and also to mark the 40th wedding anniversary of Mr and Mrs Lemass. 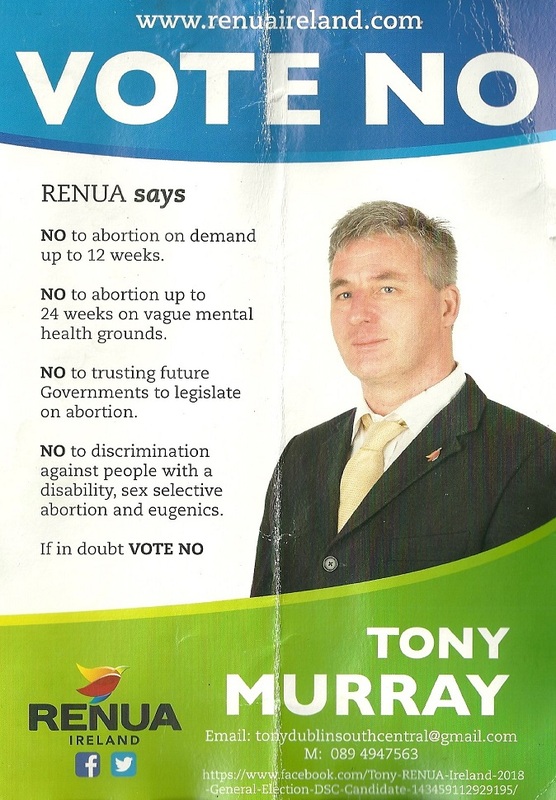 It was held in The Shelbourne Hotel and was organised by his Dublin South Central Constituencey organisation. 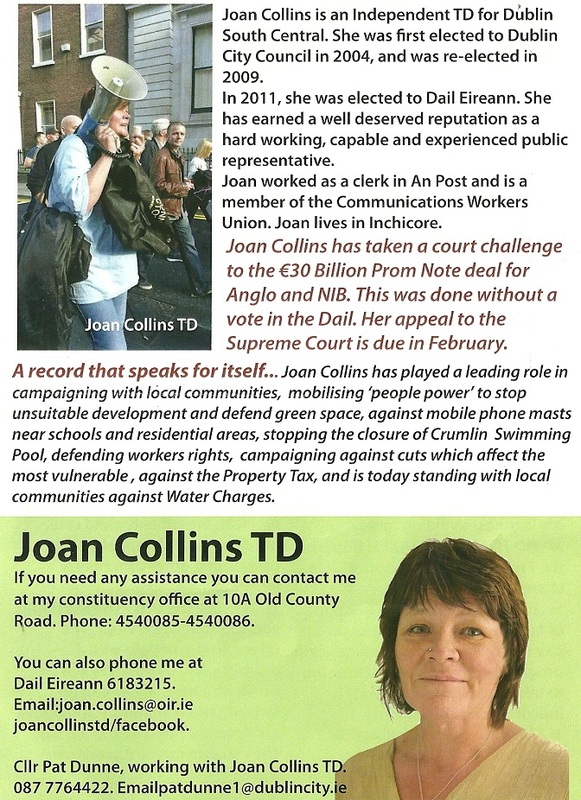 A leaflet from Independent TD for Dublin South Central Joan Collins which promotes the Right2Change movement. It appears to signal the demise of the ‘United Left’ brand which she campaigned under and had part of her organisation contest seats in the Local Elections under that banner. 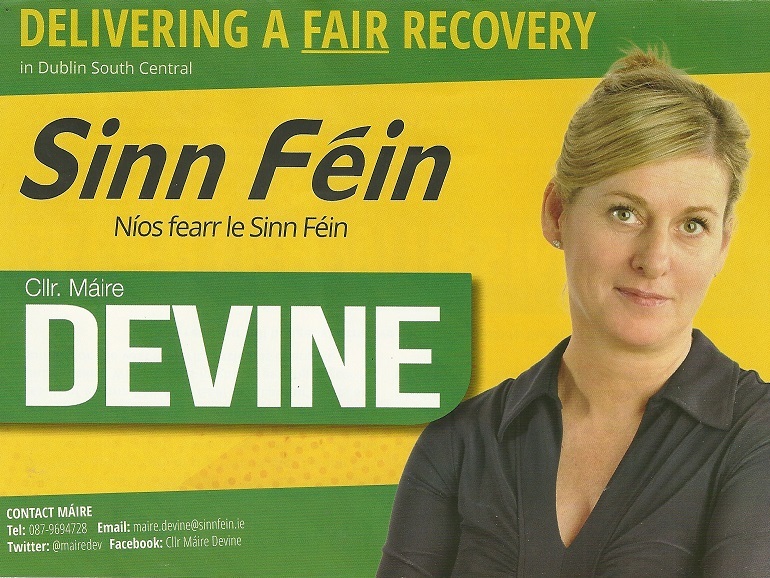 A leaflet from Máire Devine who is running for Sinn Fein alongside Aengus Ó Snodaigh in Dublin South Central.